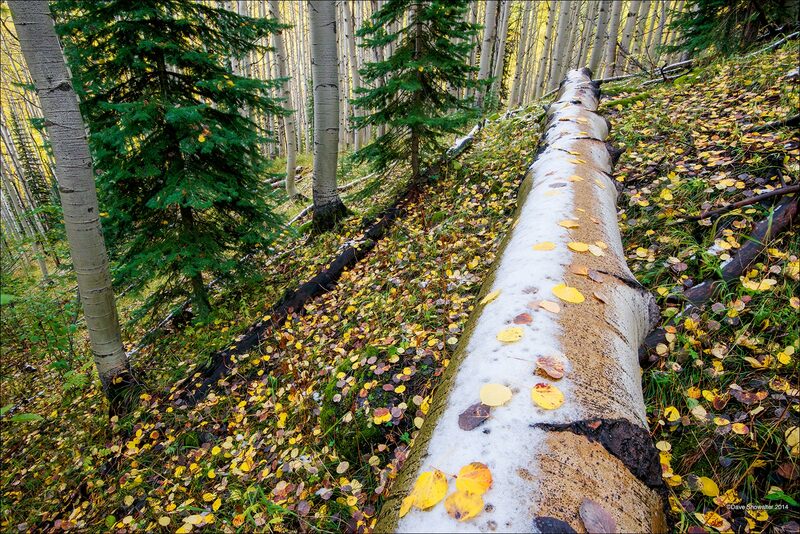 A fallen aspen bole in the massive forest on Kebler Pass leads the eye deeper during the gradual transition to winter. The experience of roaming the forest floor is so different from viewing these beatiful trees from a distance - the smell of decaying leaves mixes with a chill of cold sinking and lingering. It is solitary, exhilarating, and ephemeral. Photo © copyright by Dave Showalter.